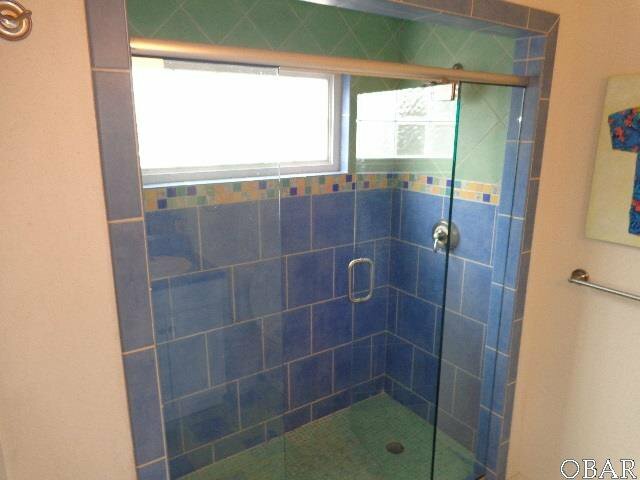 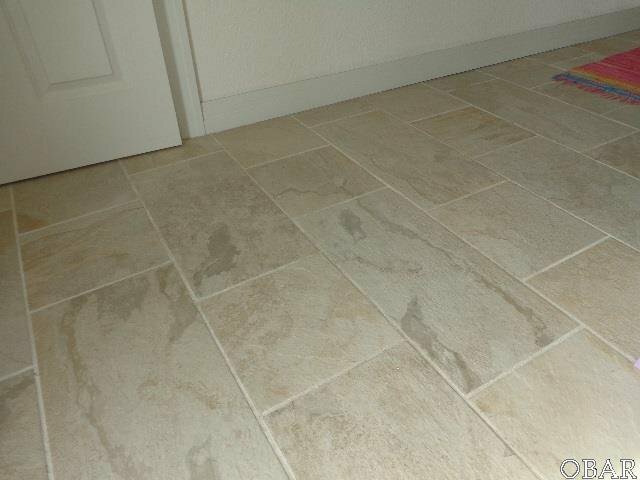 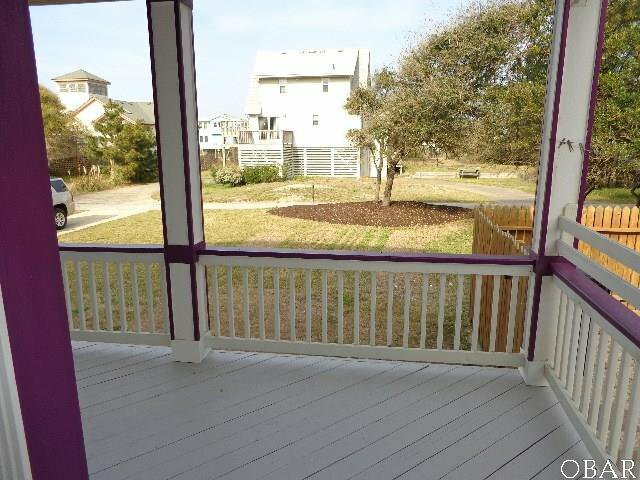 Preferred X Flood Zone and Oceanside, & close to the beach! 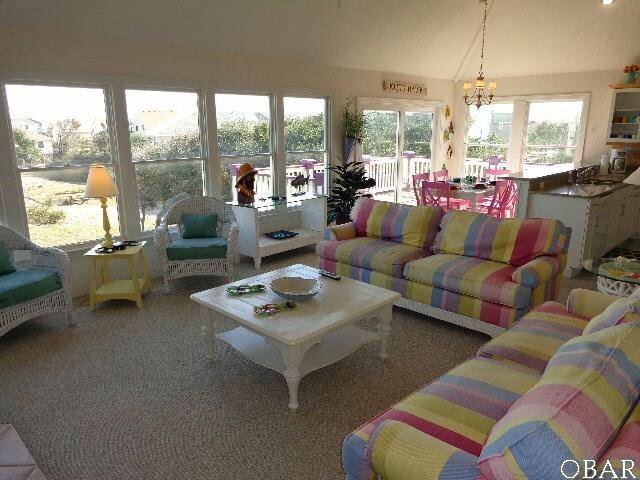 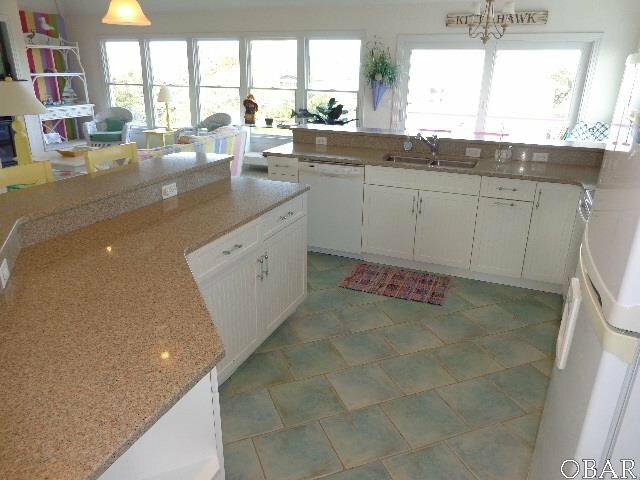 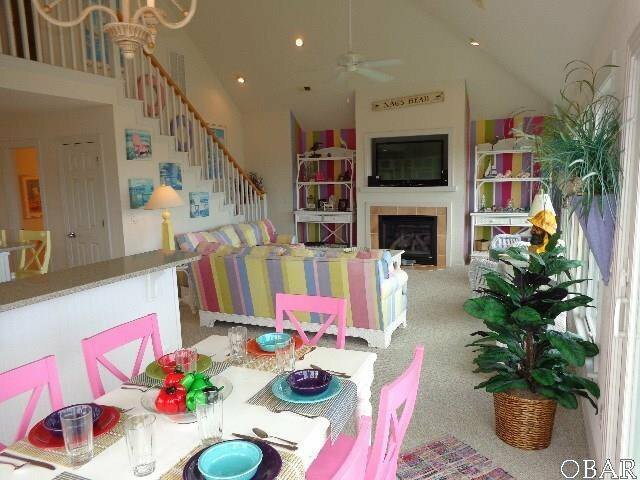 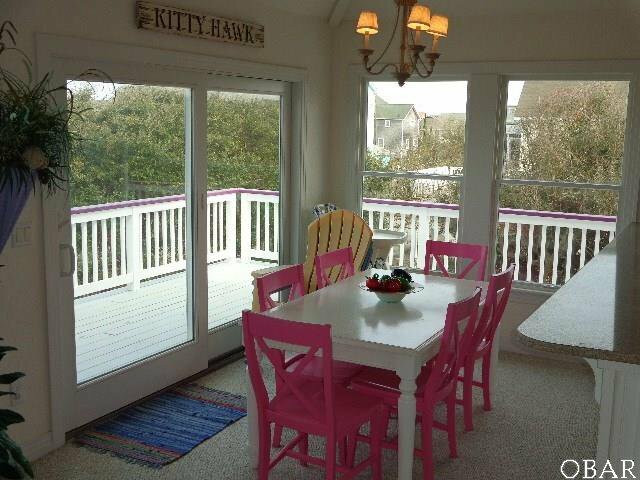 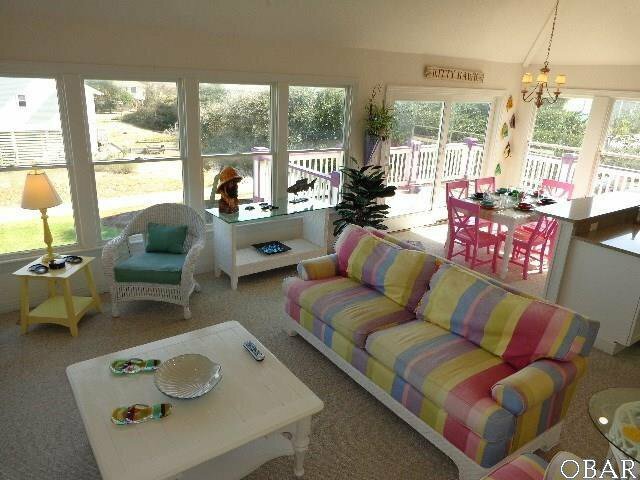 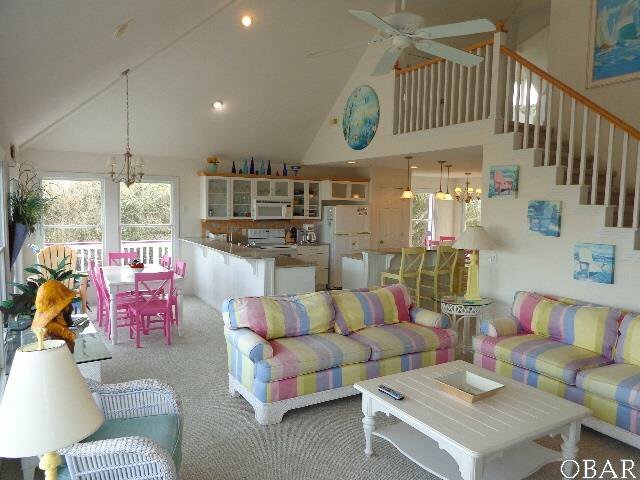 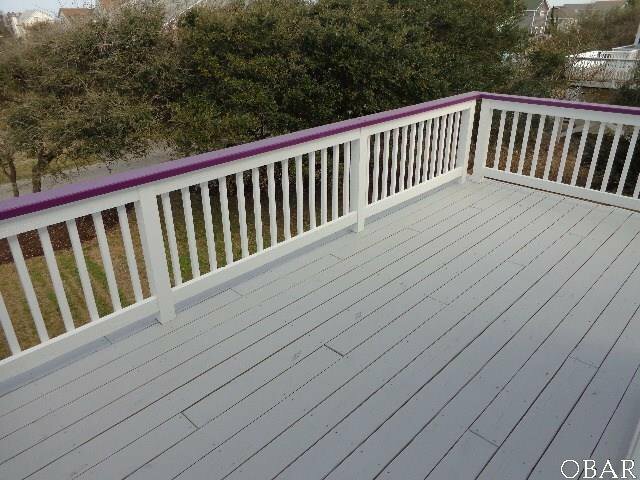 This upscale and roomy home is not your ordinary Kitty Hawk Oceanside home. 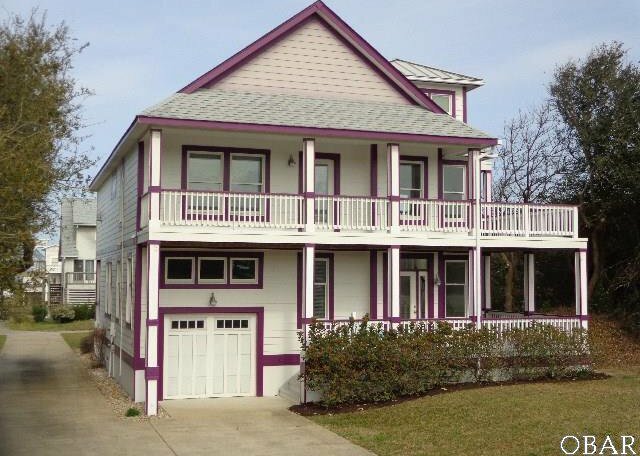 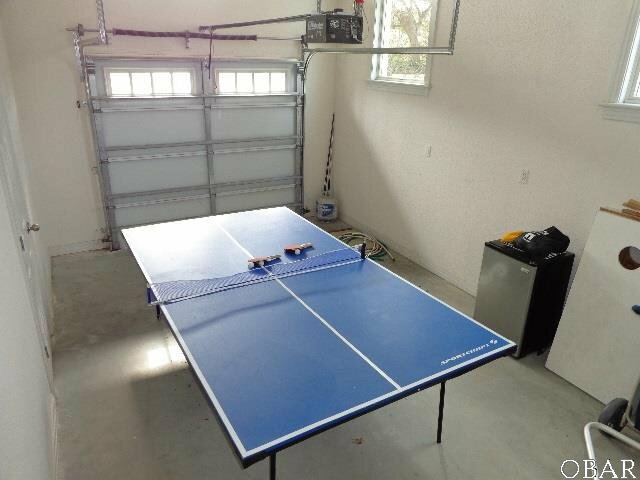 Lots of house (2,800sf), quality, upgraded finishes, and land / location for the money! 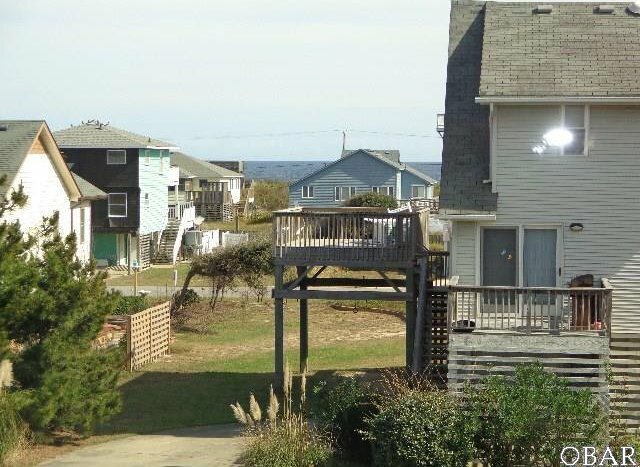 Elevated lot location with a large, safe, and well landscaped homesite, with ocean views, and a very short and direct walk to the beach! 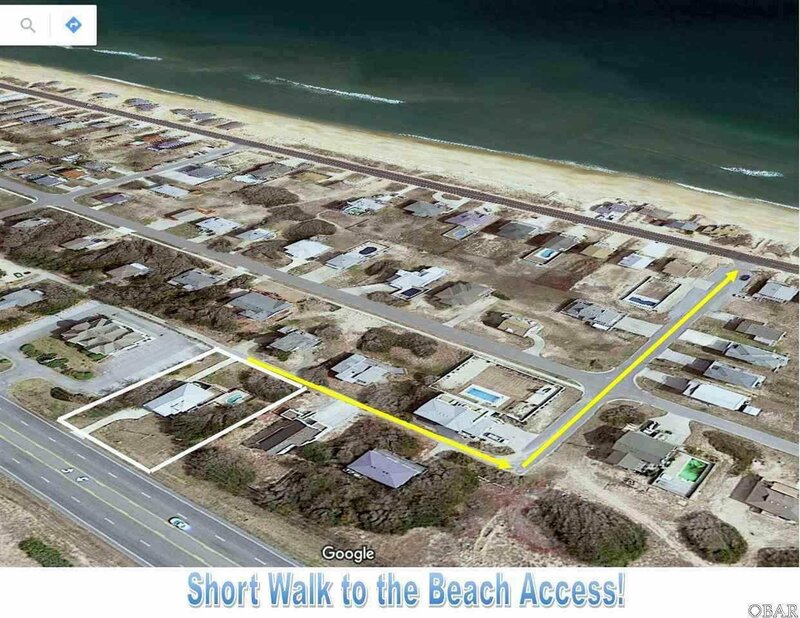 Walking, driving, or biking access is conveniently provided Eastward via Ride Lane and Hawk Street, to the beach and beach road. 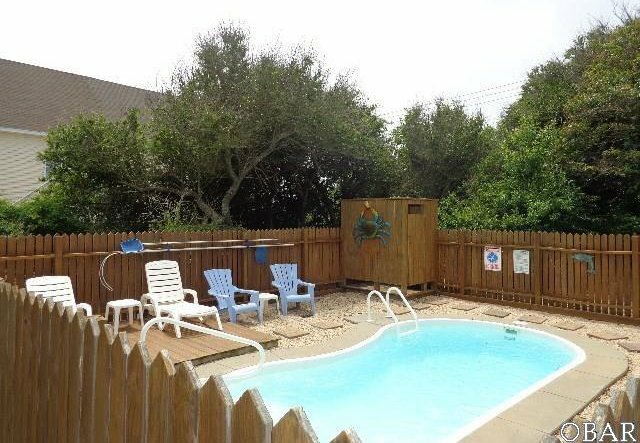 This home is deceivingly close to the beach, and provides a private rear yard and pool area, with natural setting, as you are not overlooking someone else's pool area. 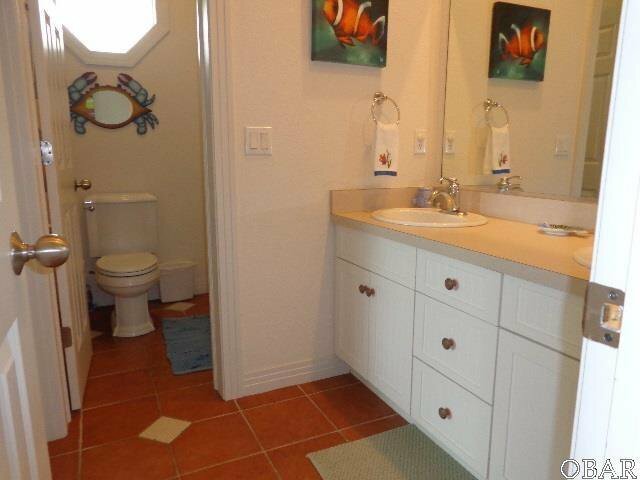 Originally built as Model Home by upscale custom builder, the home offers many upgraded and unique features and finishes. 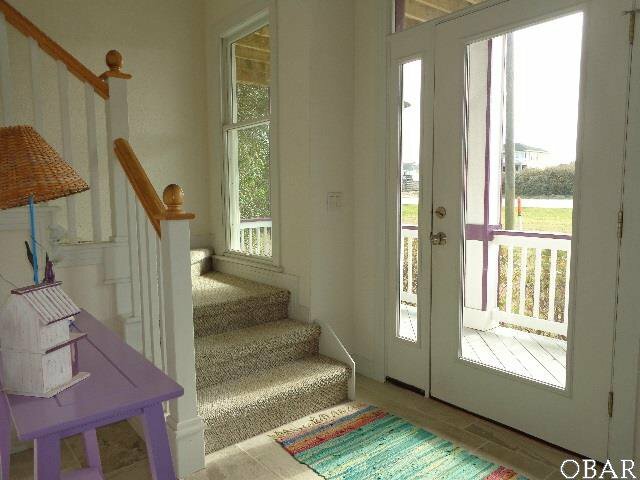 This home lives large with a bright & open floorplan, with lots of space to spread out, inside and outside. 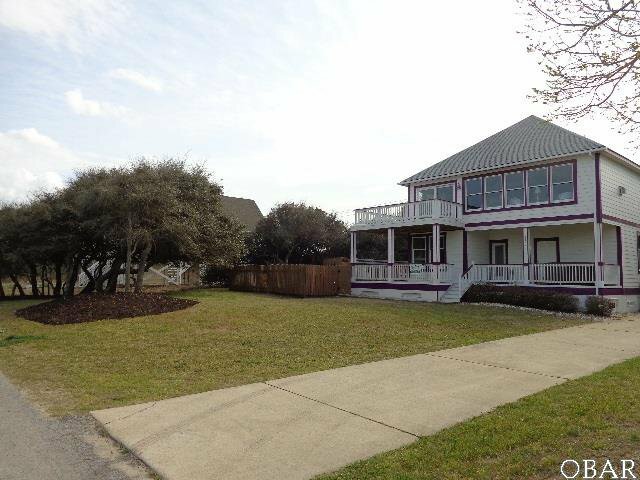 Features include an open great room with high ceilings and lots of glass, multiple dining / sitting areas, rec room with pool table, 4 large & attractive bedrooms, 4.5 baths, garage, tons of covered and uncovered decking, hot tub, and nicely designed private salt water pool area. 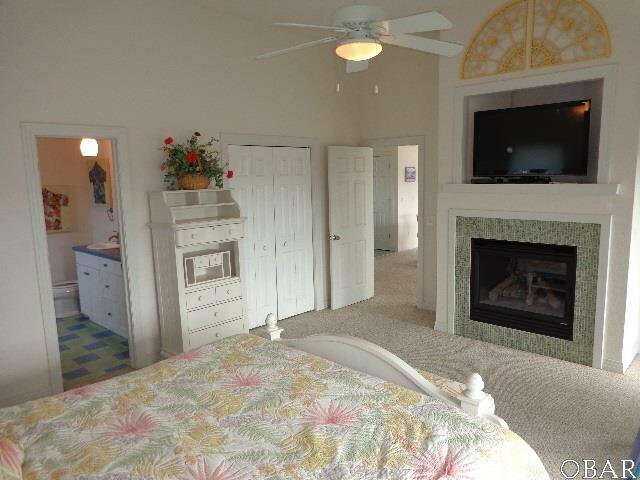 This home is not a tight fit on a 50' wide lot, but with 100' lot width the home design provides decking on three sides, comfortable and private spaces for all, with an opulent feel, including 17' x 14' master suite with fireplace surround & walk-in closet. 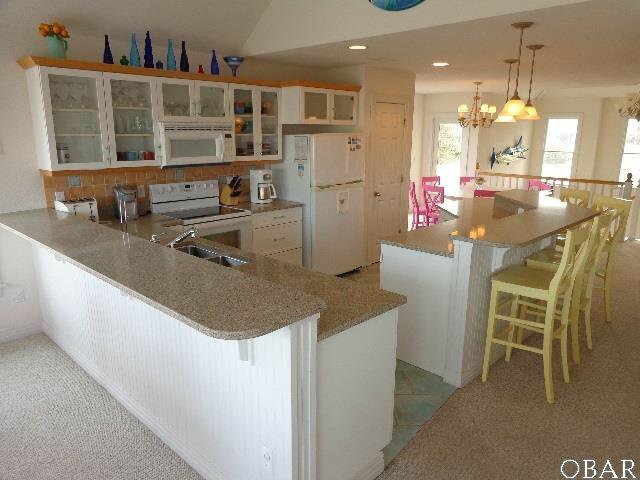 Upscale finishes in the kitchen and all bathrooms, including Silestone kitchen counters, tile kitchen backsplash, unique tiled bathrooms, higher end Kohler fixtures, etc, etc. 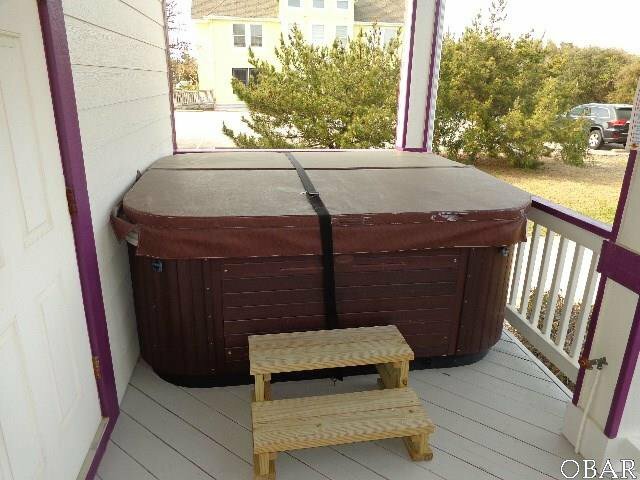 Modern 2006 construction, Andersen windows and triple latch doors, 2 fireplaces, and well maintained by involved owners; (2) 2016 HVAC systems with semi-annual maint program, 2015 hot tub, 2017 water heater, new beautiful slate / tile floor in first level common areas, and an off-season 2019 upgrade and spruce-up including new top level decking boards & railings, new deck staining, and more. 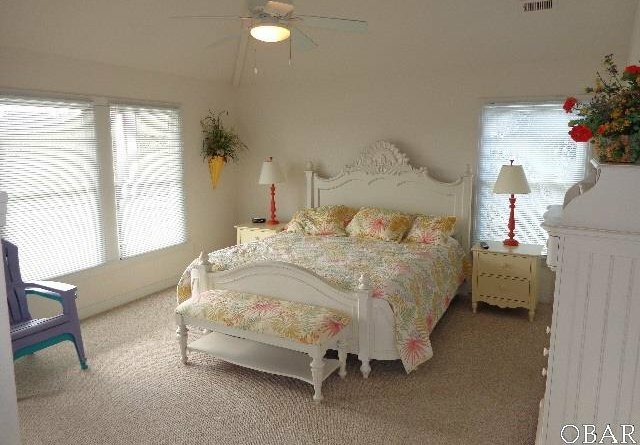 Offered fully furnished, clean, and ready to use and enjoy. 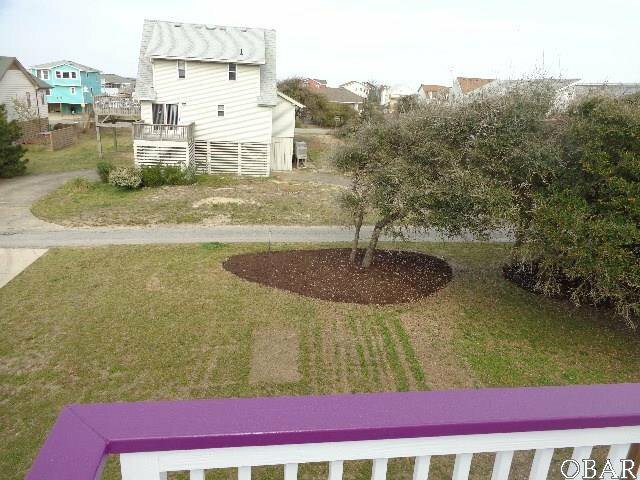 All this on a large, well & maturely landscaped homesite, protected from the elements, with grassed yard (no sand or sand spurs blowing around here) yet close to the beach. 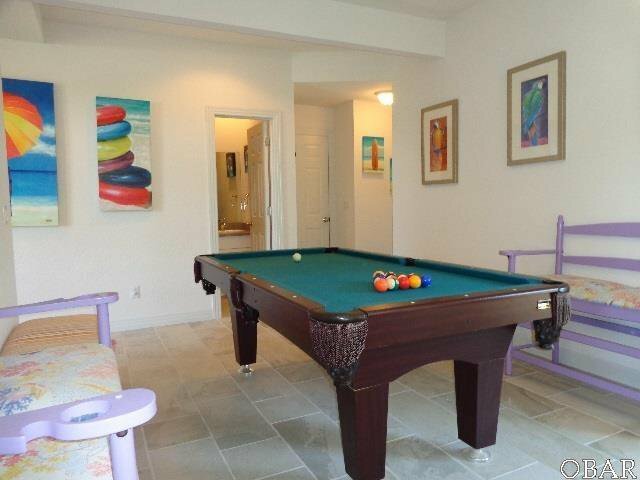 Central location to restaurants, recreation activities, and shopping. 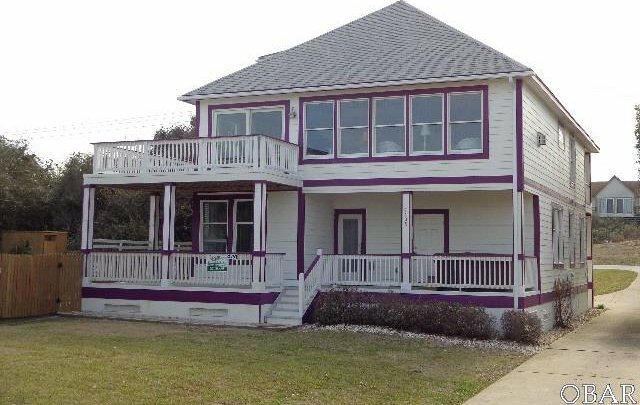 Great property for investment / vacation use, Second home, and even year round living with garage, mid level great room, and large bedrooms. 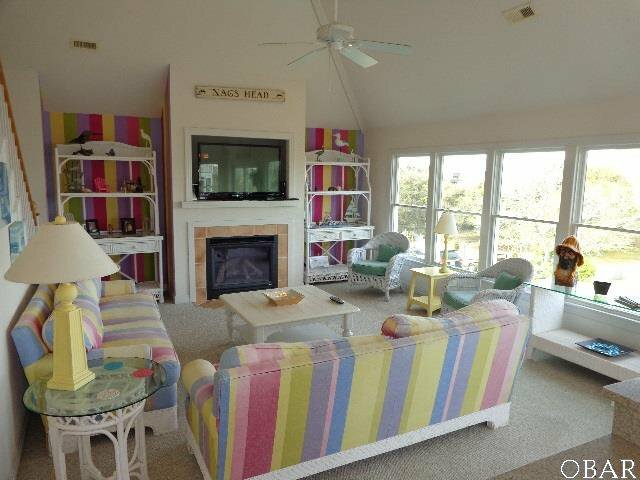 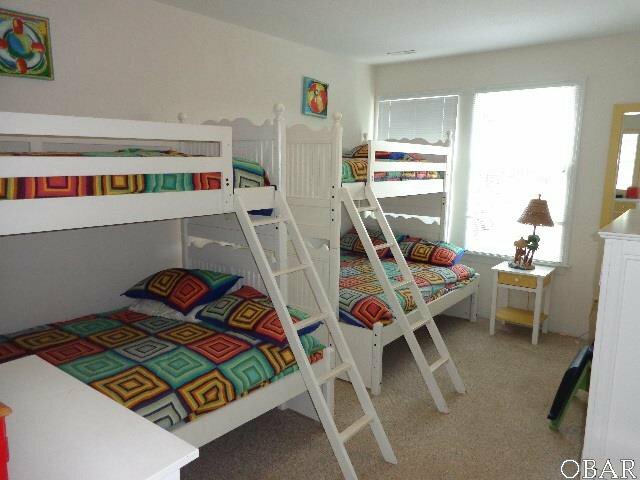 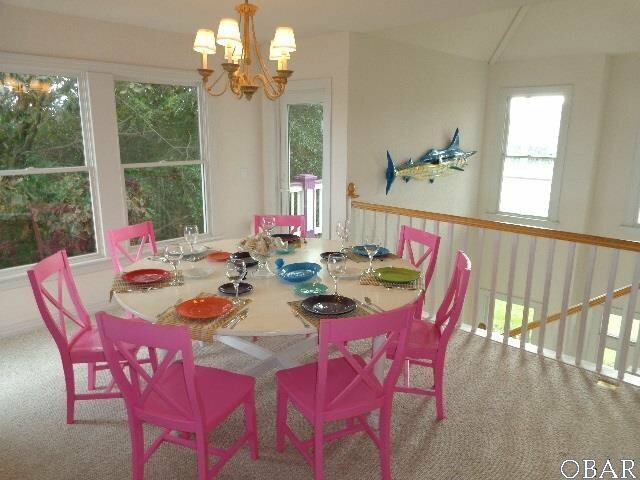 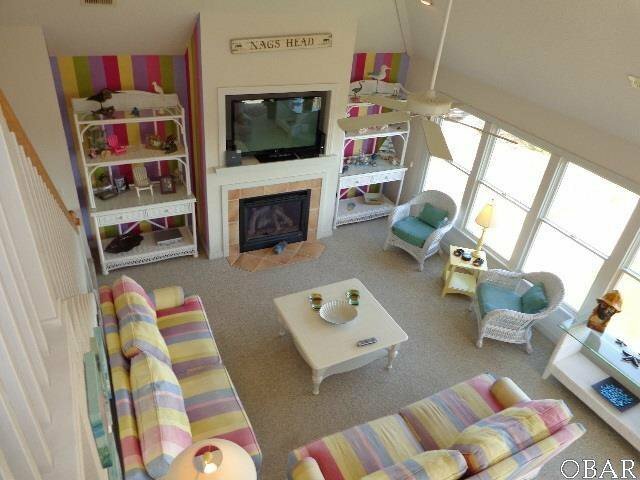 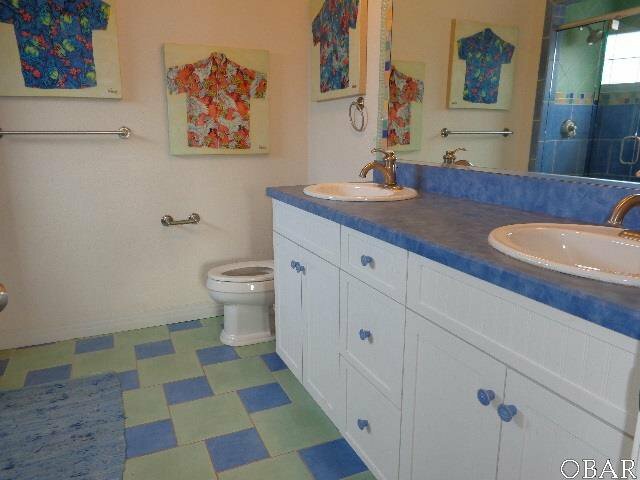 This is not your run of the mill beach house! 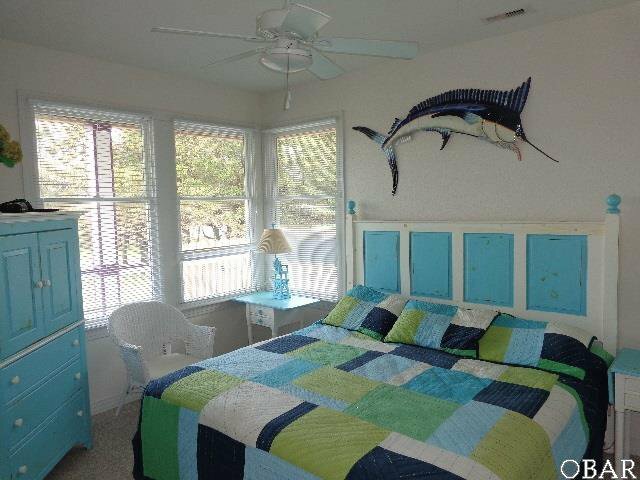 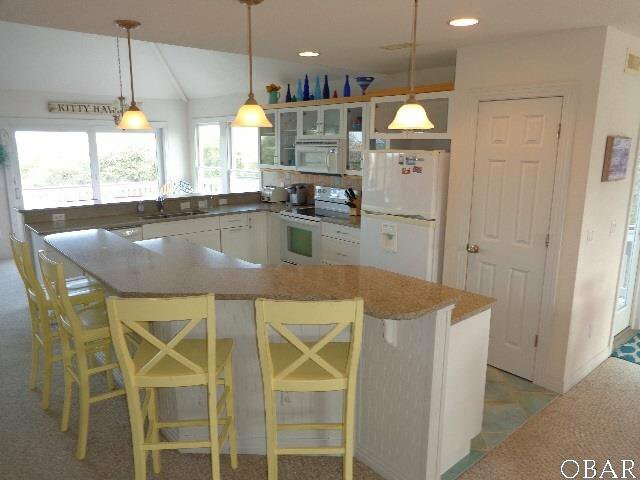 This is a popular vacation home with consistent rentals ($43,185 gross rents in 2018), rented every week from 5/19 to 9/15, with high guest satisfaction year after year. 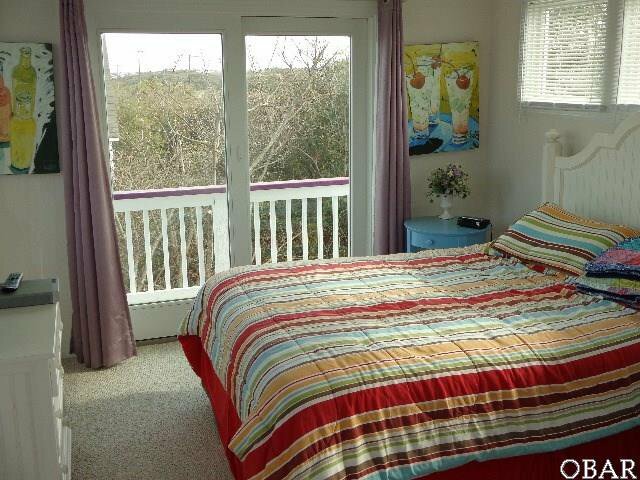 If one desires quality, style, and comfortable spaces, in safe location with views, they owe it to themselves to consider this property, it will be worthwhile! 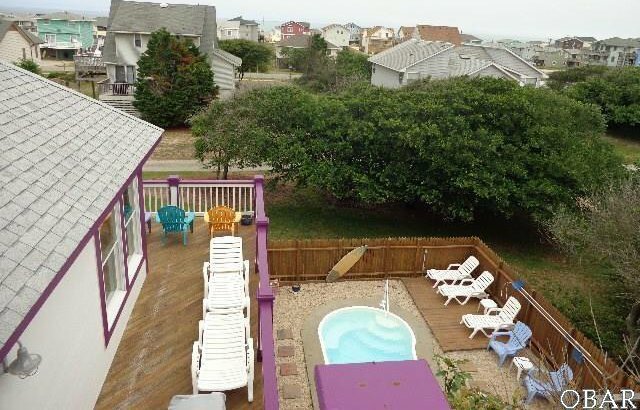 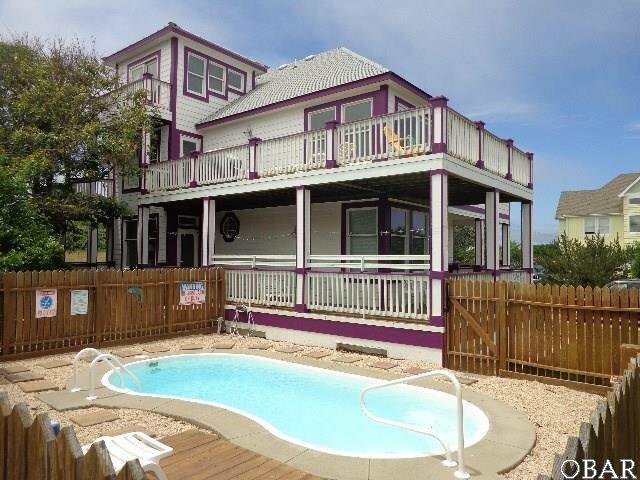 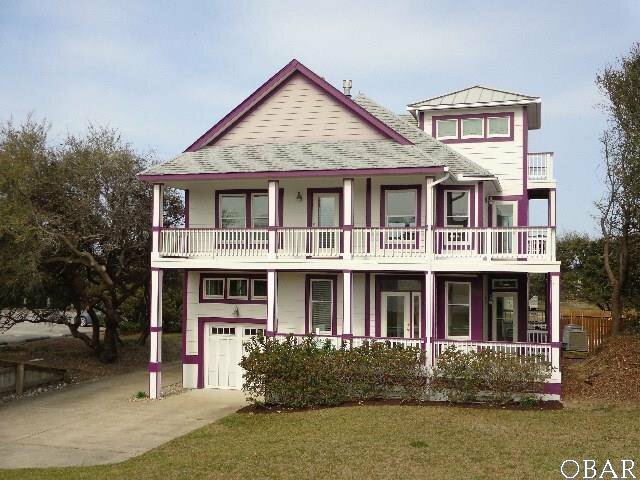 Listing courtesy of Outer Banks Realty Group.